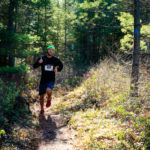 The first season of the Downeast Conservation Trail Race Series attracted new visitors to natural areas from Orland to Baring BARING, Maine—A new partnership is promoting an alternative way to experience the great outdoors. Local runners can’t get enough. Between the first race in August and the final race on November 11, over 350 . . .